CAMBRIDGE, Mass, November 14, 2016—PatientsLikeMe has named 11 members to its patients-only 2016–2017 Team of Advisors, which this year will focus on elevating the patient voice. Team members will share their stories, participate in community initiatives, and give real world perspectives to our industry and research partners. More than 500 PatientsLikeMe members submitted applications for this year’s Team of Advisors. Those selected represent a range of medical and professional backgrounds and ages. They are living with a cross-section of conditions, including amyotrophic lateral sclerosis (ALS), autonomic neuropathy, bipolar disorder, epilepsy, fibromyalgia, idiopathic pulmonary fibrosis (IPF), lung cancer, lupus, multiple sclerosis (MS) and Parkinson’s disease. Members named to the team include: Cris Simon, Gary Rafaloff, Ginny Emerson, Glenda Rouland, Hetlena Johnson, Jacquie Toth, Jim Seaton, John Blackshear, Kimberly Hartmann, Laura Sanscartier and Lindsay Washington. 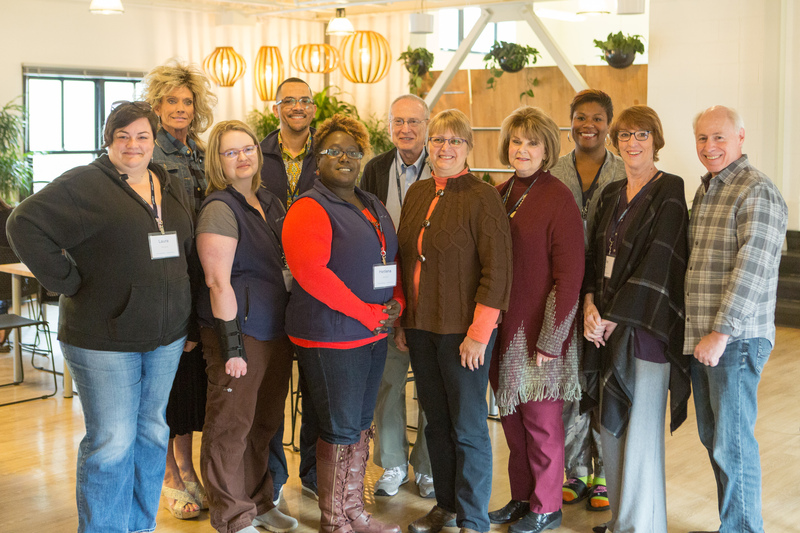 The 2016-2017 Team of Advisors recently kicked off their 12-month collaboration with PatientsLikeMe in Cambridge, Massachusetts, and will convene several times during the upcoming year. This is the third Team of Advisors the company has formed. The 2015 team focused on redefining patient partnerships and established new ways for the healthcare industry to connect with patients to deliver better care. In 2014, the inaugural group provided feedback to the research team and discussed ways that researchers can meaningfully engage patients throughout the research process. PatientsLikeMe is a patient network that improves lives and a real-time research platform that advances medicine. Through the network, patients connect with others who have the same disease or condition and track and share their own experiences. In the process, they generate data about the real-world nature of disease that help researchers, pharmaceutical companies, regulators, providers, and nonprofits develop more effective products, services, and care. With more than 400,000 members, PatientsLikeMe is a trusted source for real-world disease information and a clinically robust resource that has published more than 85 research studies. Visit us at www.patientslikeme.com or follow us via our blog, Twitter or Facebook.